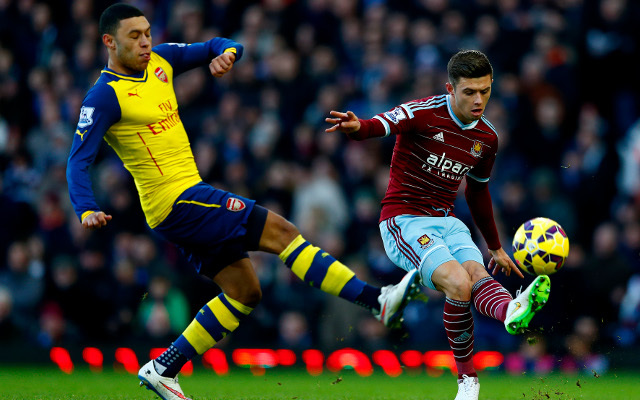 Arsenal are said to be keen on a £15m move to sign West Ham United left-back Aaron Cresswell in the summer transfer window, according to the Metro. The 25-year-old defender has impressed in the Premier League this season, and has also attracted interest from the likes of Manchester City ahead of the summer. Cresswell started his career at Liverpool but really caught the eye in the Championship with Ipswich Town prior to his move to Upton Park last year. Although Arsenal already have Kieran Gibbs and Nacho Monreal fighting for the left-back slot, Arsene Wenger appears keen to sign this in-form talent for that position.